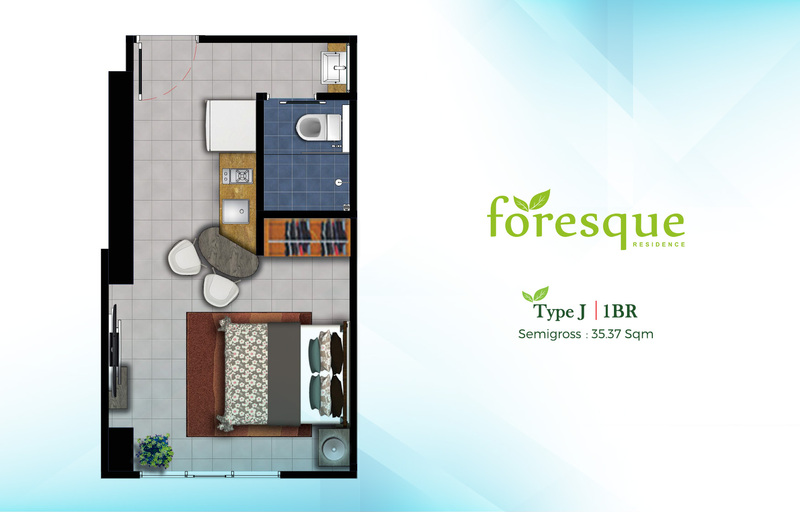 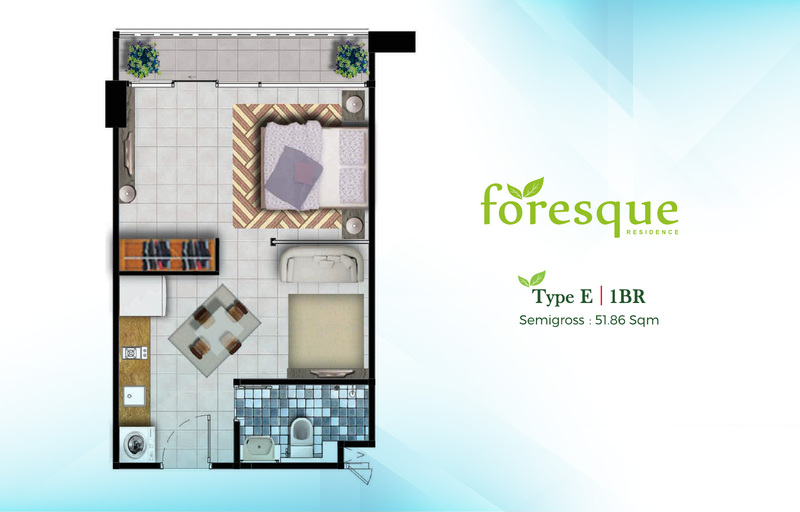 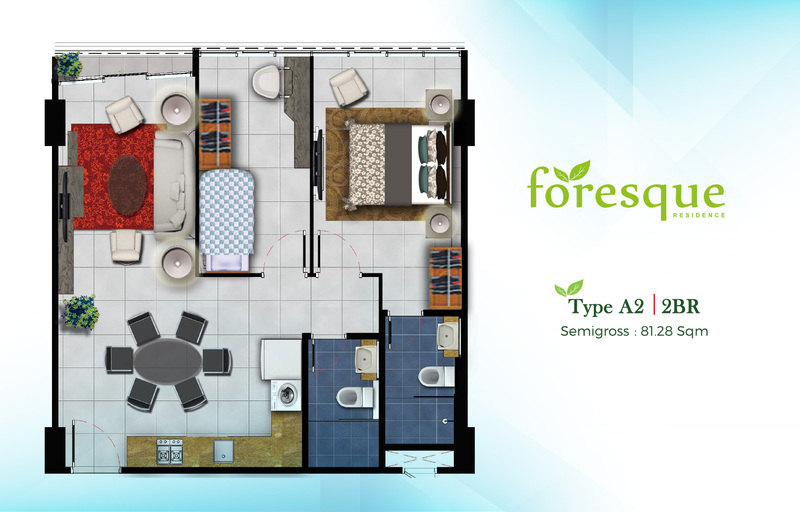 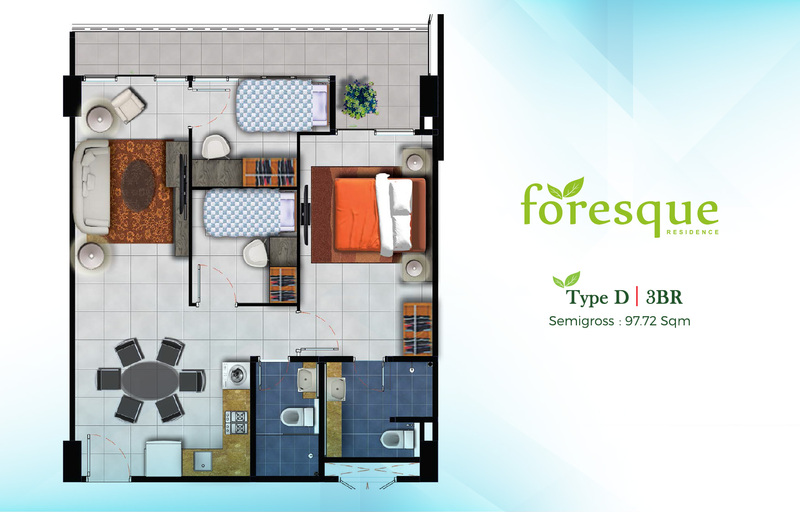 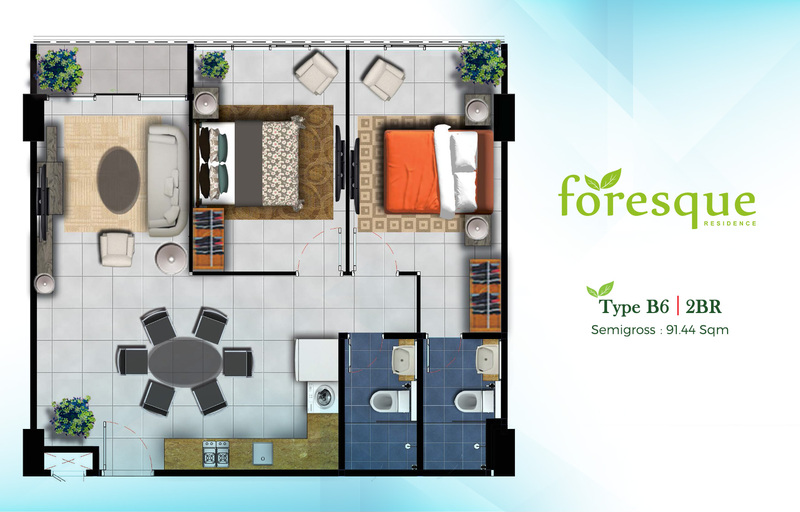 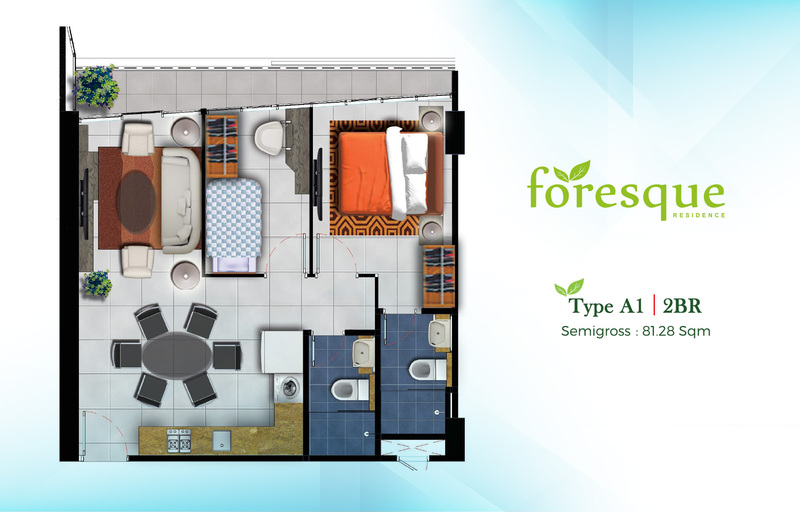 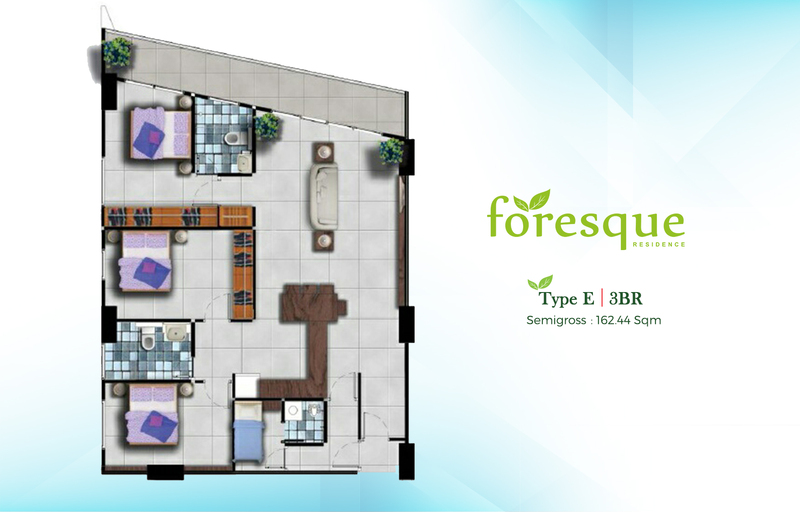 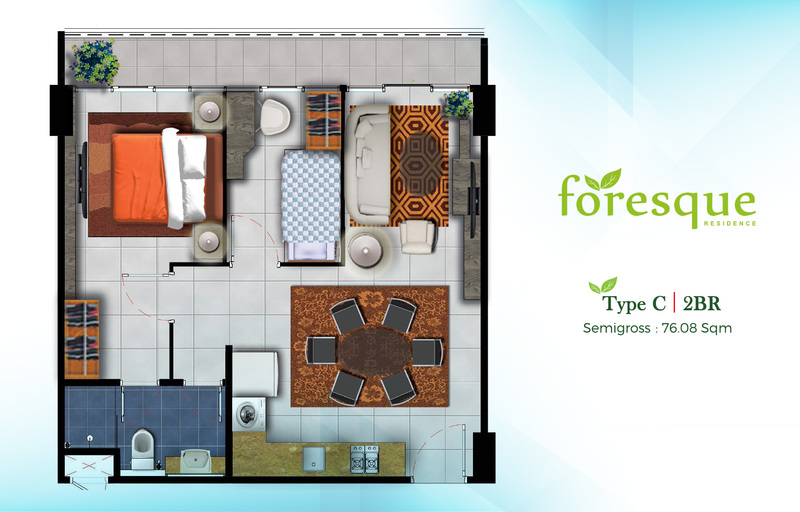 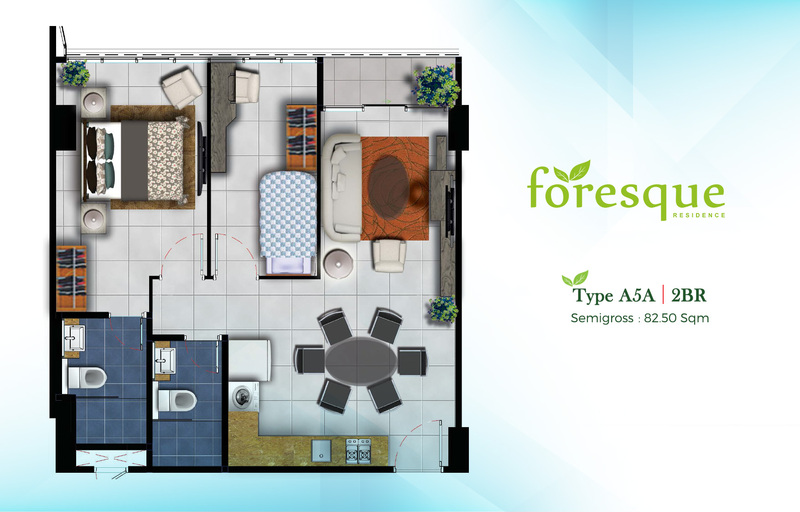 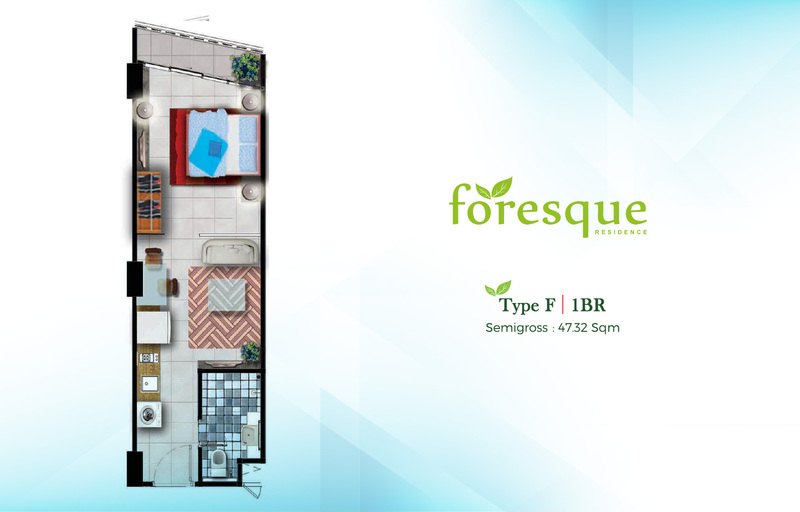 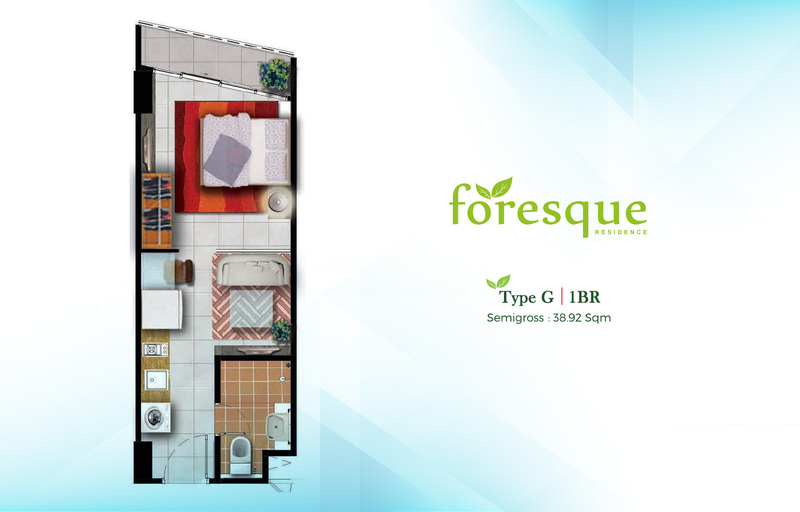 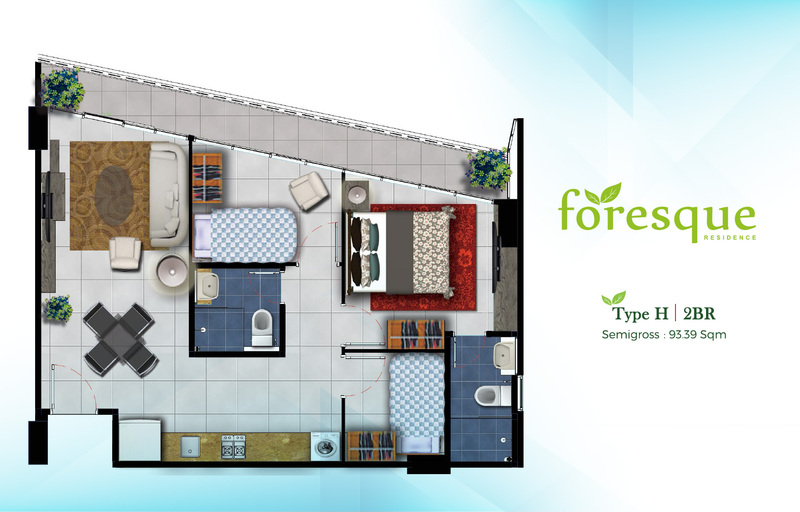 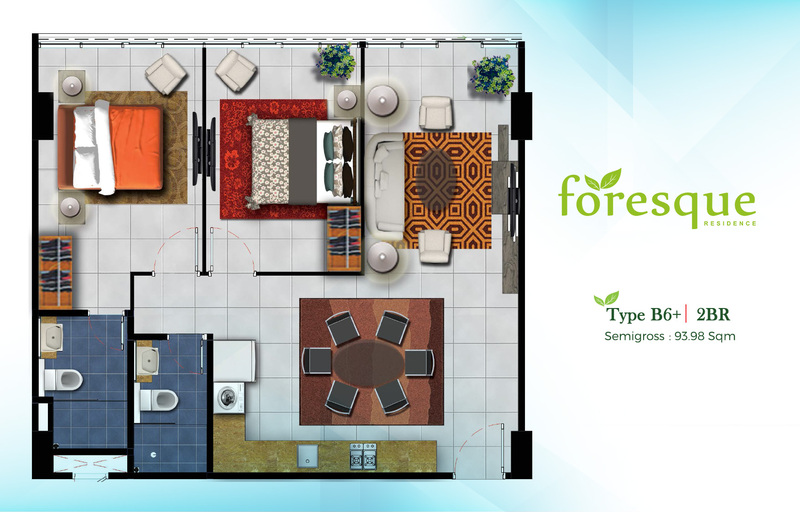 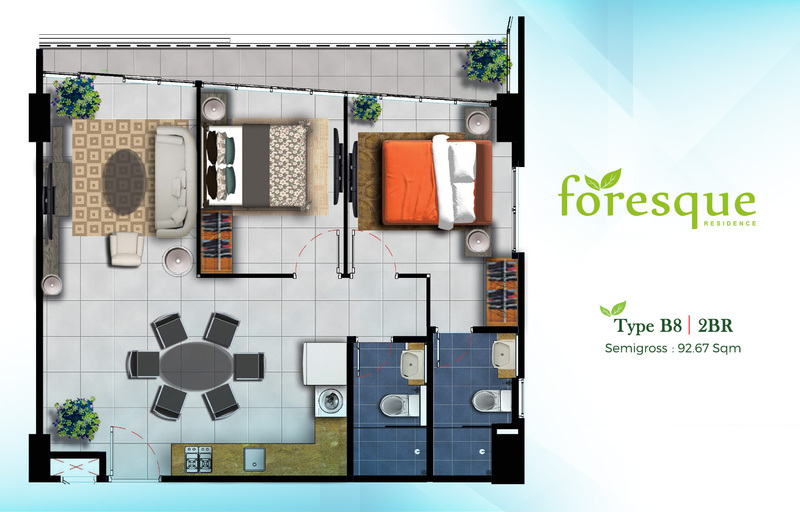 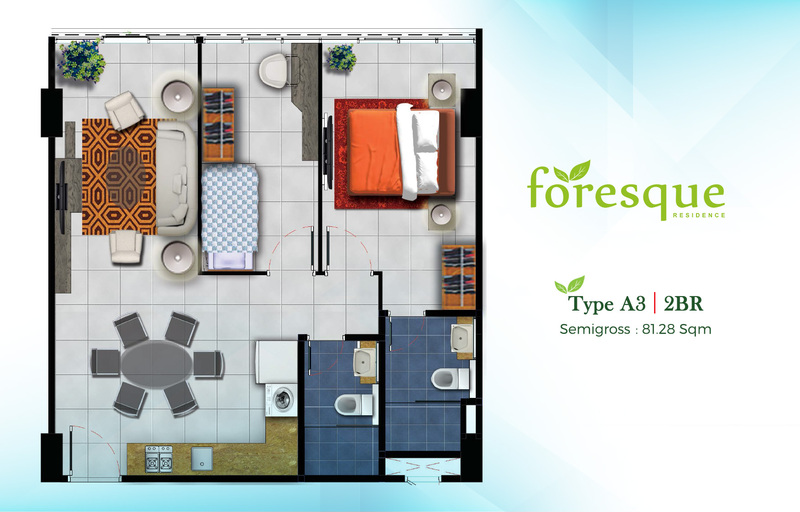 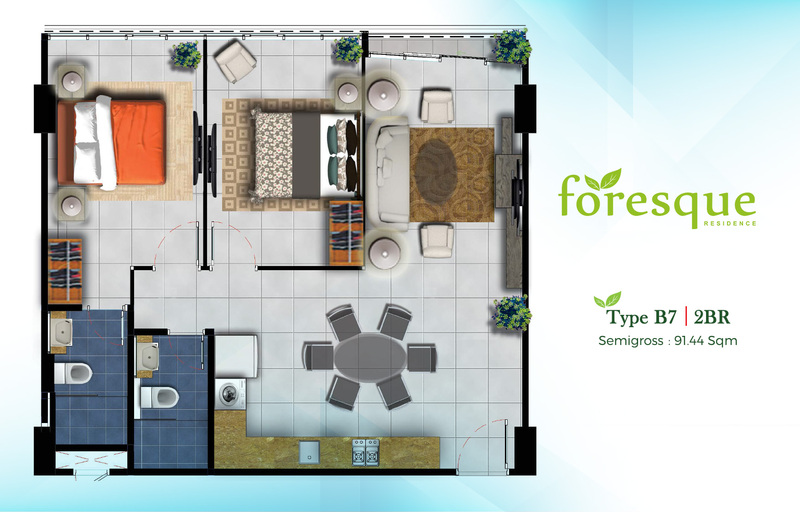 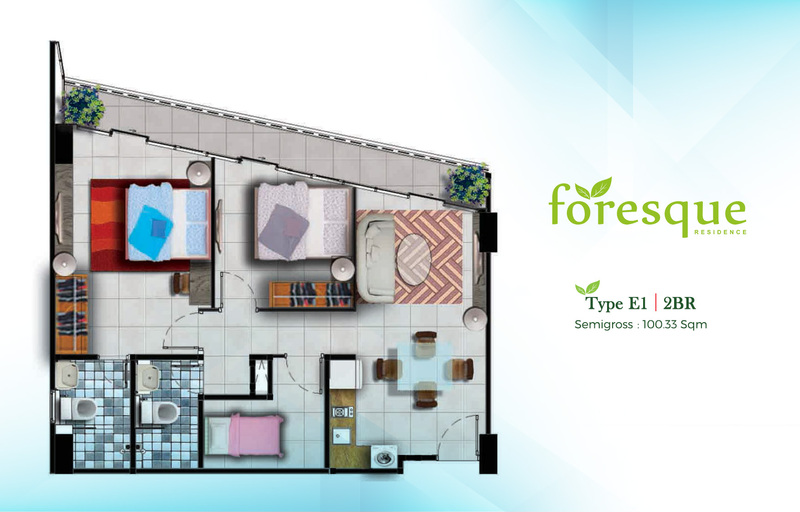 Take a closer look at the perfect layout of foresque and indulge yourself in the luxurious and warm atmosphere at your home. 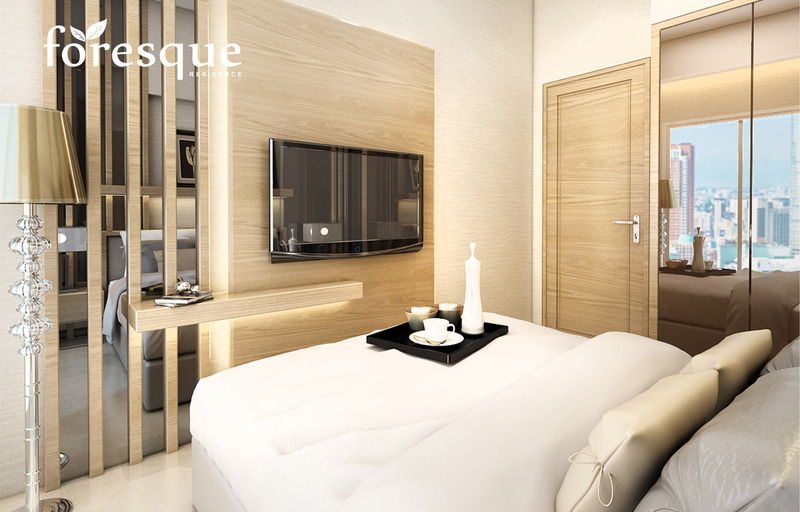 Featuring spacious living room and bedrooms, foresque boast elegant design, modern ambience, and highly functional details. 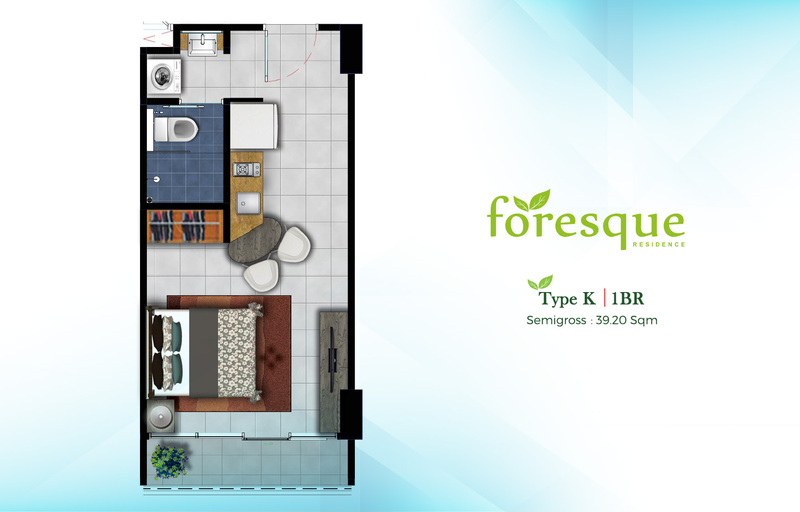 It’s perfectly suitable for someone looking for a modern and contempory lifestyle. 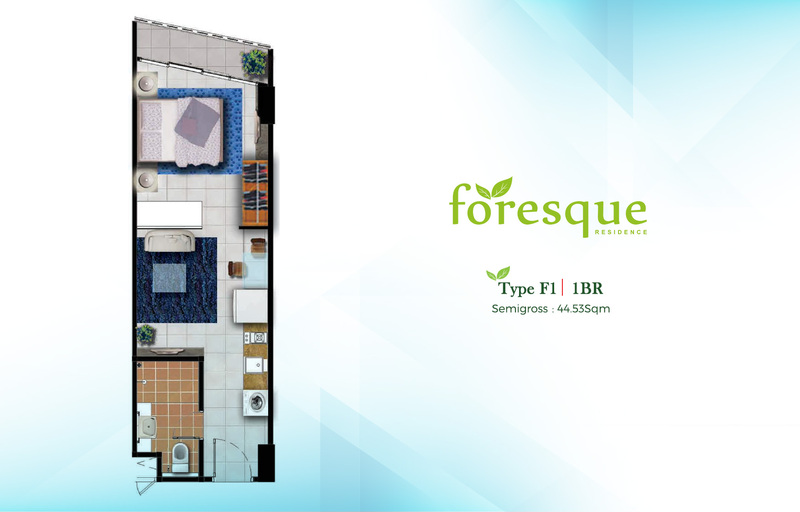 All information and specifications are current at time and are subject to changes as may required and can not form part and offer or contract. 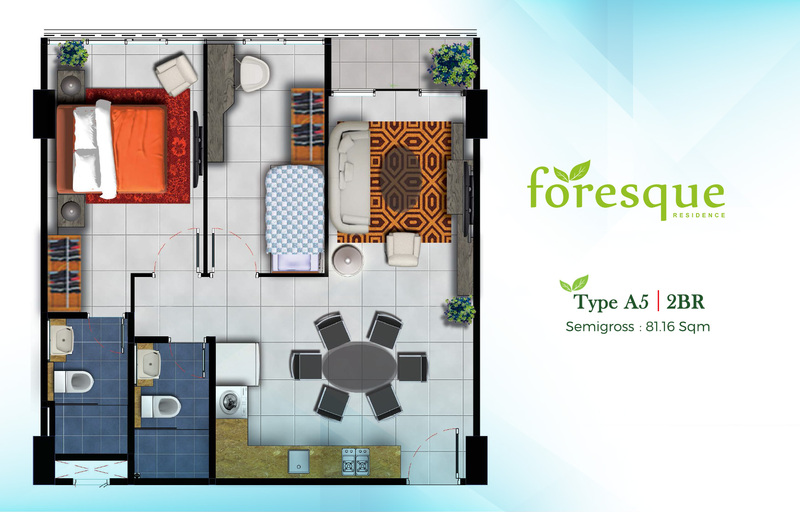 Developer has the right to change the development schedule and the design of the project without prior notice. 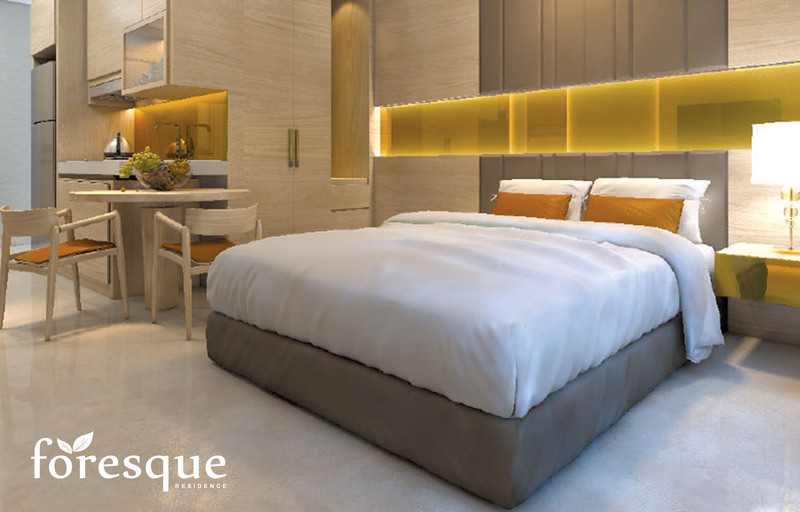 all artist, impressions, renderings and illustrations that are provided in media form may not always reflect the conditions of the actual spesifications. 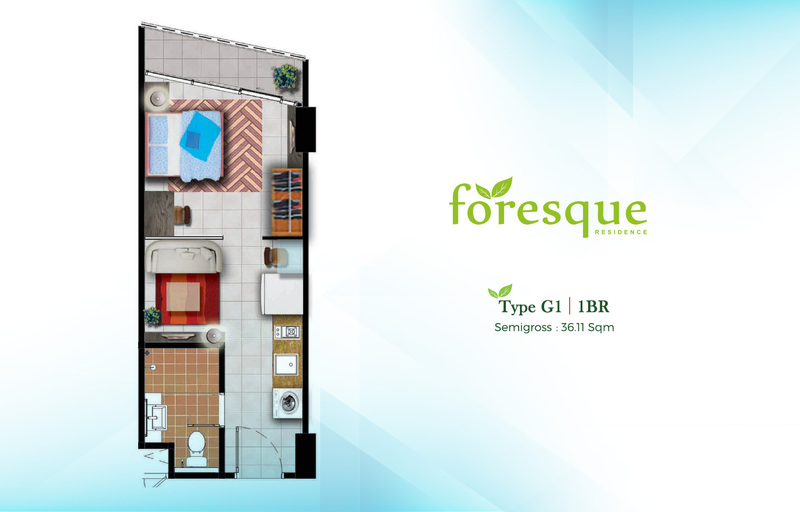 Developer reserves the right to change the name of the building facade, logo, or modify the units to meet the approriate licensing requirements to match authority’s regulations. 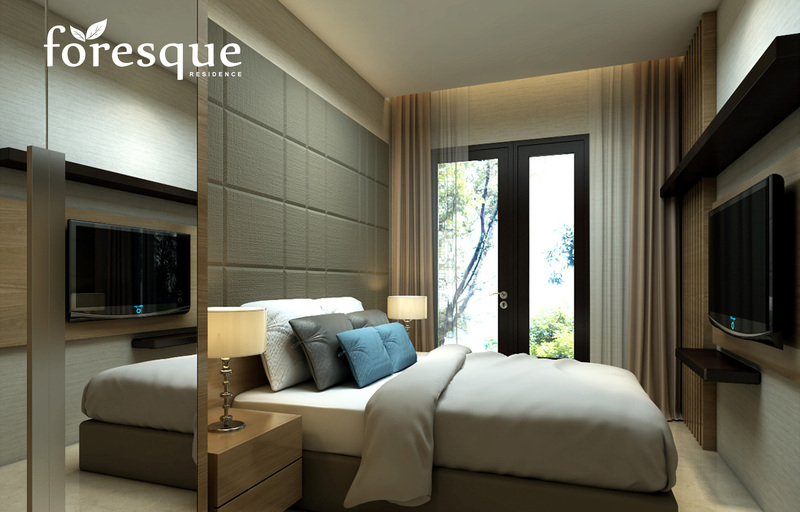 some suites may not have all specifications listed but we will do our best to deliver our products with utmost accuracy. 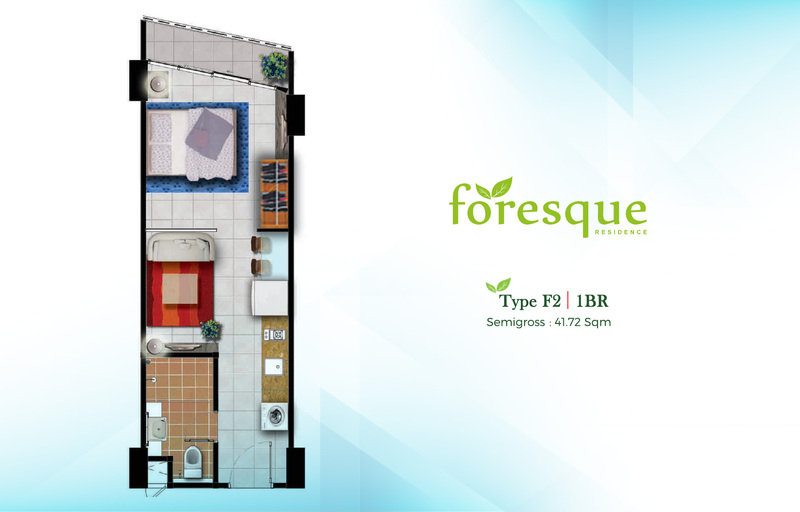 Please check with our sales team for the latest informtion and development.